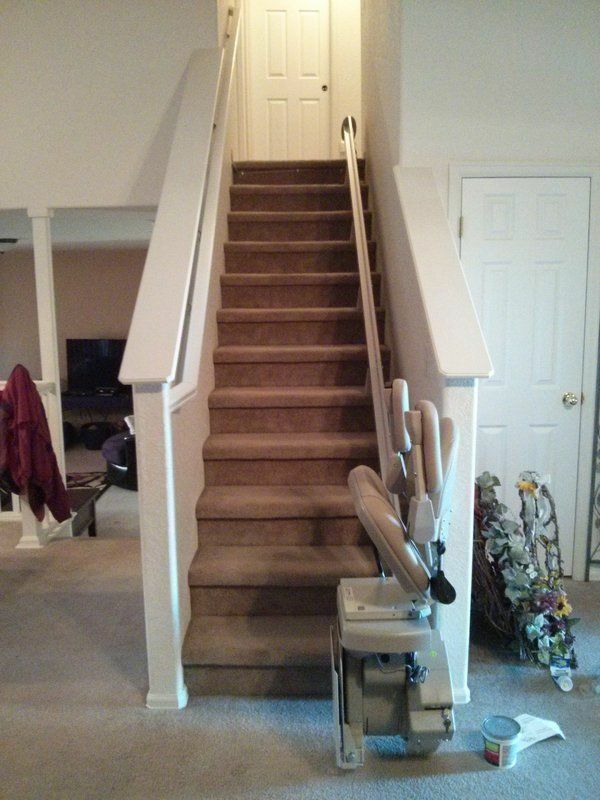 When the grandmother needed help, and this family was committed to keep her in a private home, they created a mother-in-law suite upstairs, and installed this Elite stair lift. This lift has a weight capacity of 400 lbs and has extra room between the arms for a comfortable seat. This user wanted the larger seat and the adjustability that 5 inches of seat height adjustment could give. She was using a walker now, but know that she might need a wheelchair later. By installing this Elite stair lift, the seat can be lowered later to a wheelchair height. In this way, the wheelchair and the seat of the stair lift are the same height and she can slide over easily.